VATICAN CITY (CNS) — Days before a referendum to elect a constituent assembly to rewrite Venezuela’s constitution, leaders of the country’s bishops’ conference said the referendum is illegal and will only increase the suffering of the people. The July 30 referendum is “unconstitutional as well as unnecessary, inconvenient and damaging to the Venezuelan people,” members of the presiding council of the bishops’ conference said in a statement released July 27. 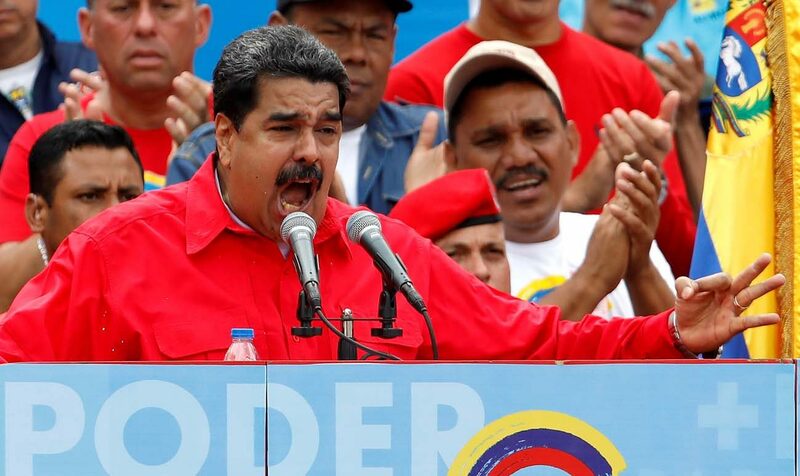 Tensions have steadily increased under the government of President Nicolas Maduro who continued to tighten his grip on power despite nationwide outrage against his administration of the country’s crumbling economy. Protests began after March 29, when the Venezuelan Supreme Court ruled to dissolve the country’s parliament, in which the opposition had a two-thirds majority following the 2015 elections. The unprecedented ruling transferred legislative powers to the Supreme Court, which is comprised of judges nominated by Maduro. Although the government-backed court reversed its decision, Maduro’s push for a constituent assembly comprised mainly of his supporters has led to further violent demonstrations in which more than 100 people have died. While emphasizing that the constituent assembly was “not convoked by the people,” the Venezuelan bishops urged government and opposition supporters to resist resorting to violence. “Violence must never be the way to solve social conflicts that worsen day by day in our Venezuelan society. Excessive repression along with the toll of the wounded, dead and detained generates more violence,” the bishops said.